The weekend in Chicago is finally here and like always, it&apos;s filled with some of the top happenings of the year! There&apos;s endless things to do in Chicago and we&apos;ve got everything you need to enjoy your visit this weekend. Looking to see some of your favorite blues musicians, eat a bunch of BBQ ribs or enjoy a craft beer festival at Navy Pier? Well we&apos;ve got it all and more. Create your Chicago weekend itinerary — here. Head to The Harris Theater for Music and Dance to see the Season 39 Summer Series kick off a full year in celebration of the company’s 40th anniversary season. The Summer Series combines audience favorites representing all four decades of the company’s history, including Founding Artistic Director Lou Conte’s full-company The 40s, Hubbard Street’s longtime signature work; Conte’s beloved duet Georgia, originally premiered in 1987 as part of the triptych “Rose from the Blues” and many more! Experience the blues live in Millennium Park at the 34th Annual Chicago Blues Festival. 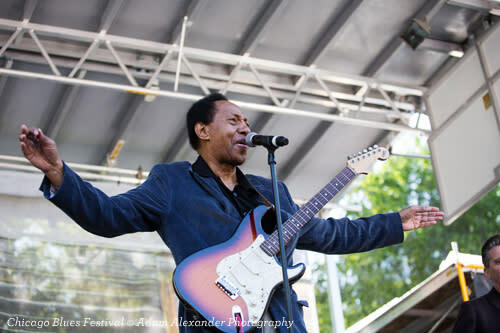 At its new home in Millennium Park, the Blues Festival will offer fans performances by the genres&apos; leading artists, as well as a wonderful new experience in the city&apos;s premier outdoor music venue. The headliners performing at the Jay Pritzker Pavilion over the three days include: Billy Branch and the Sons of Blues with special guest James Cotton, Rhymefest, William Bell, Gary Clark Jr., Rhiannon Giddens, Ronnie Baker Brooks. Ready to chow down at one of Chicago&apos;s largest cookouts? See why Ribfest Chicago was repeatedly named Chicago&apos;s "Best Food Fest". The food and music fest lights it up with the coolest bands and hottest barbecue to celebrate its nineteenth summer this year. Your gate donation and proceeds from the event benefit Northcenter philanthropy and community programs. 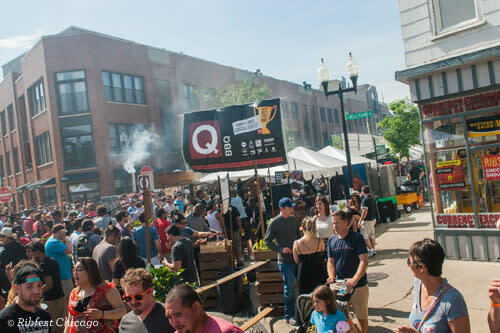 Ribfest Chicago has contributed approximately $350,000 to over fifteen Northcenter schools and nonprofits in an effort to improve education, benefit critical nonprofit work, assist special needs and fight hunger, in addition to funding chamber projects and annual programming. This summer, the largest all-electronic music festival in the Midwest will return to its beautiful new location at Addams/Medill Park in Chicago, IL. Over 60 artists will perform across five unique stages, demonstrating a dynamic variety of genres within the electronic music spectrum. 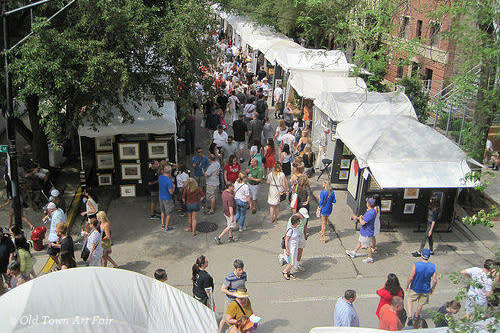 Join the 69th Old Town Art Fair which has been voted the #1 Art Fair in America for the second year in a row and is ranked as one of the five top festivals in Chicago. There will be 250 nationally acclaimed artists, an estimated 30,000 art lovers, a Garden Walk, Live Music, Food Court and Children’s Corner and lots of fun for the whole family. The Old Town Art Fair is a Fine Art Fair which includes 2D and 3D Mixed Media, Drawings, Paintings, Photography, Printmaking, Ceramics, Glass, Fiber, Jewelry and works in Metal, Stone and Wood. America’s largest craft beer festival is coming to Chicago! This summer, Beer Camp on Tour takes over Navy Pier with hundreds of craft beers, the city’s best food trucks, live music and good times. Every craft brewer in the nation is invited and you are, too! 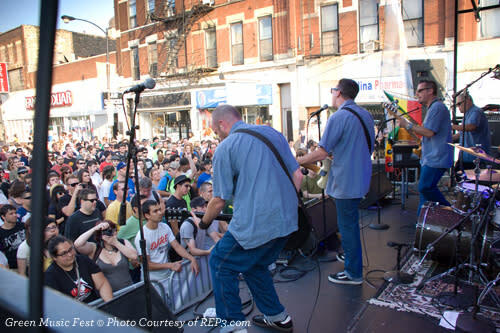 Green Music Fest returns for its ninth summer as Chicago’s award-winning festival that brings together high-energy live performances and eco-minded lifestyles in Wicker Park. This year the Wicker Park Bucktown Chamber of Commerce takes on a partnership role for the festival alongside legendary music venue Subterranean. Bright Beat returns to lead the festival’s eco education and sustainability programming. Food trucks are the centerpiece of this neighborhood street fest in Pilsen, but the attractions don’t end there. 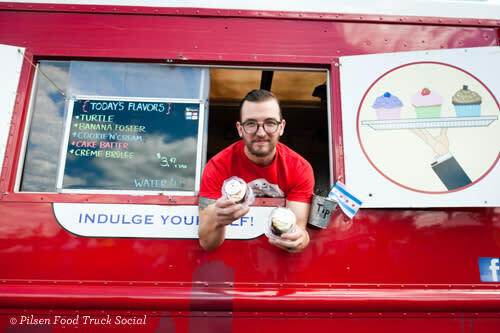 At Pilsen Food Truck Social, continuous live music programmed by Thalia Hall will keep the crowd entertained with fun, local music of the highest caliber. A Sampler Ticket will allow fest-goers to stroll around and try sample-sized portions from any food truck or Pilsen area restaurant onsite, as well as sample beer varieties by Revolution Brewing. Get summer ready with our Ultimate Guide to Chicago Festivals, which breaks down the biggest events of 2017 by month, or snag the NEW Chicago Official Visitors Guide packed with itineraries and planning tips.